We think knock, knock jokes are not only a good way to get your children to share a laugh with you, but also a childhood rite of passage. For a child a good (or bad) knock knock joke can also be a nice break from trying to understand their parent’s dry or sarcastic senses of humor. We found 17 for you to share with your kids – or tell them one a day- during our Summer of Smiles campaign. After they have learned how the jokes work, we guarantee they will make up their own and that will be the best part for you. We hope you enjoy! Knock, knock. Who’s there? Amish. Amish who? Really? You don’t look like a shoe! 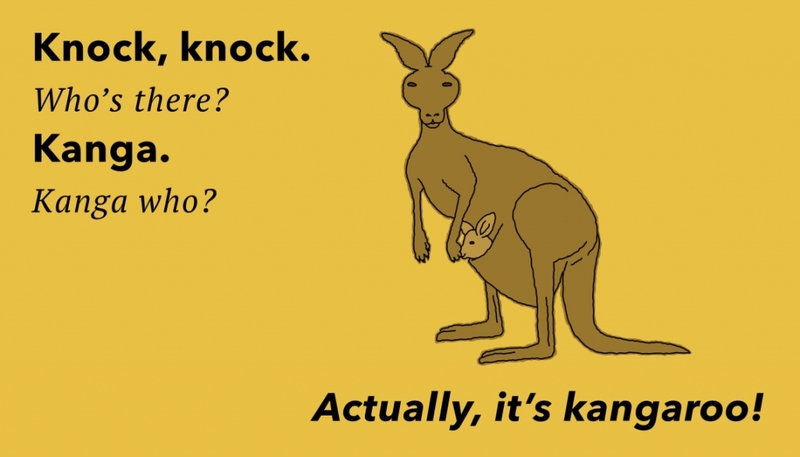 Knock, knock. Who’s there? Boo. Boo hoo? Why are you crying? Knock, knock. Who’s there? Yah. Yah who? No, I prefer google. Knock, knock. Who’s there? Alpaca. Alpaca who? Alpaca the suitcase, you load the car!